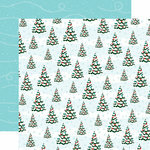 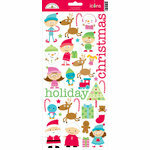 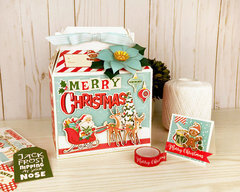 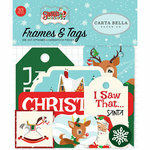 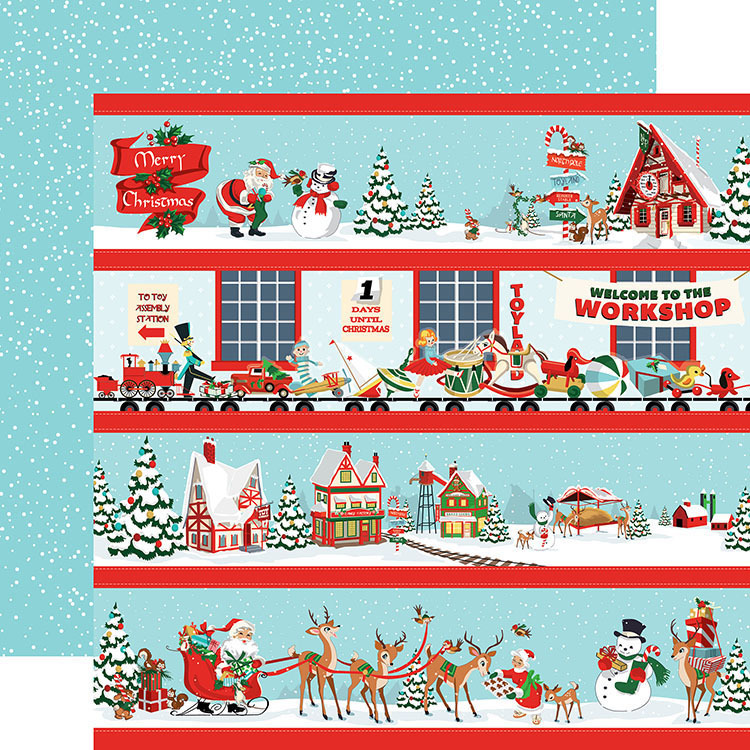 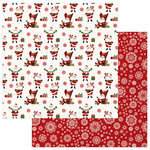 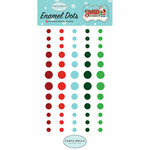 Trim your Christmas pages with the Border Strips from the Santa's Workshop Collection by Carta Bella Paper. There is one sheet of 12" x 12" Double Sided Paper included that has snowflakes on one side and holiday scenes of a toy shop, the North Pole and more on the other. 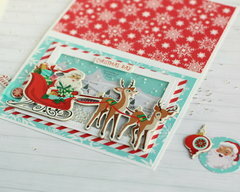 I love this paper. 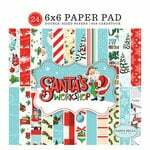 I got two sheets of it. 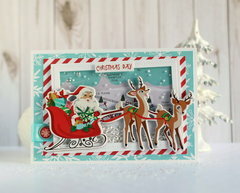 It is a really nice weight and it has a bit of a texture. 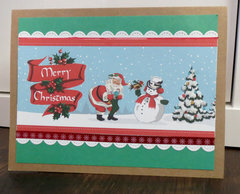 I used this paper to make a few Christmas cards. 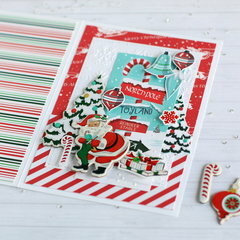 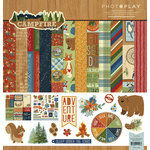 I love the colors on this paper and the cute images have so many uses. 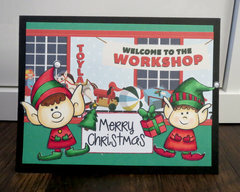 I will post photos of my cards soon.